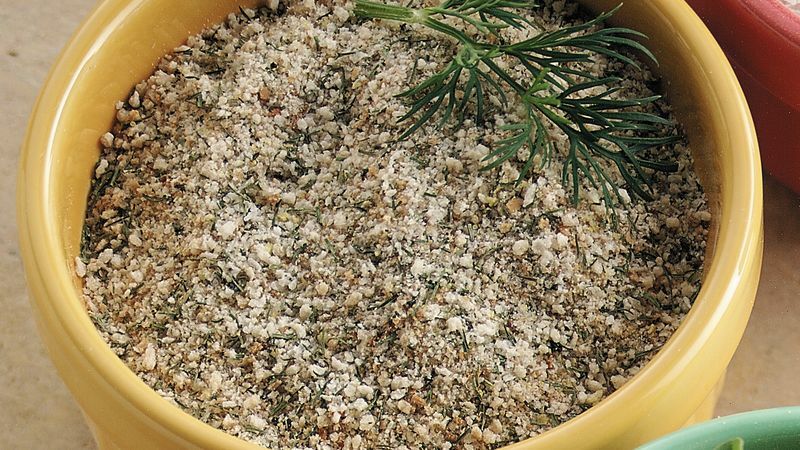 Keep this seasoning blend on hand to quickly flavor recipes. Combine ingredients and seal mixtures in airtight container. Store the Dill Seasoned mixture in the pantry.